Serious and not-so-serious thoughts on the craft of writing. The Beat Goes On and on and on…. My previous two posts, both about changes to the copyright law, generated a great deal of interest–way more site views than usual. And the saga continues, at least for a while. After considerable plodding through the government’s stodgy website, I still had unresolved questions. That’s not surprising since the website is a one-size-fits-all approach to the curious and often confusing issue of copyrights. So I used their Contact Us form and submitted two similar but still different questions. The first inquired about short story collections containing dozens of individual works. The “Group” form for registration has a hard limit of ten. Would a single copyright for the collection protect all contents even if each member work wasn’t listed separately? The second query was about how to link registration requests for collections if the contents were strictly limited to ten enumerated works. These questions generated the same automatic response thanking me for the inquiry and advising that an answer would be forthcoming within five days. I settled in to wait. But, wonder of wonders, the copyright office responded the very next day! My excitement was short-lived, however. Both questions received the same form letter response containing a variety of links to commonly asked questions, none of which were even remotely similar to mine. Ah yes, bureaucracy in action, something to behold. During my look-see into the copyright law changes, I was surprised to see a number of apparently brand new online services which promise to navigate the government’s labyrinthine webpages and Byzantine forms for as little as $99. At first, I merely laughed at these blatant attempts to reach into my already abused wallet. Now I wonder if that $99 purchase would also give me some peace of mind. I suppose it’s obvious by now that I have a low tolerance for red tape. My patience level for politicians and politics of any kind–business, government, or homeowner associations–is similarly subterranean. What really cobs me about the government’s approach to the copyright issue is simply this: the world has had the internet for decades. During that time, countless webpages have been designed expressly for use by the public. The majority of those webpages can be navigated quickly and easily. Very few are likely to induce rage. And yet the people who continue to come up with one bureaucratic obfuscation after another are the same ones who benefit from properly designed and executed software. Can they not tell they’ve constructed Frankenapps? Grateful and well-loved husband, happy grandparent, novelist, editor, and teacher. My life plate is full, and I couldn't be happier. Anything else I might add would be anticlimactic. Cheers! This entry was posted in novel writing, Writing and tagged bureaucracy, bureaucrat, Contact us, copyright, Frankenapps, frustration, government, red tape, web page. Bookmark the permalink. 5 Responses to The Beat Goes On and on and on…. Relax, write, pay the $55.00 for each book, then pray! I am going to review all my back covers and rewrite my blurbs. I know I can do better. Then maybe I will have something worth stealing! There’s definitely going to be some budgeting involved. I’ve got quite a few titles, and I’m not sure how many of the short stories will be covered. We’ll see, I’m sure. Thanks for continued enlightenment into a murky subject. You could have said “copyrights” and used the videos to say the rest. What a mess! Another textbook? Why not? There’s still plenty of good stuff worth learning, and I couldn’t cram it all into the first three. 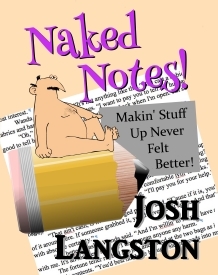 Naked Notes! is now available at Amazon. Do a writer friend of yours a HUGE favor, order a signed copy from me! Greeley is now available for Kindle e-readers and in paperback. 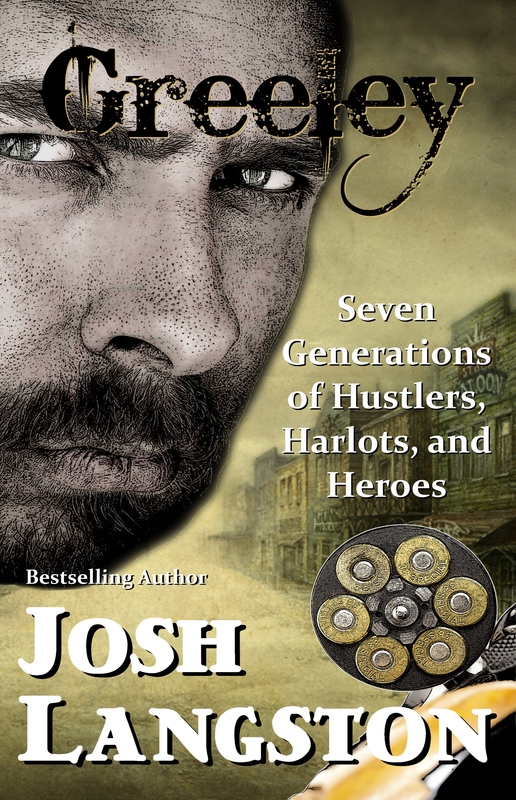 Don’t miss this fantastic collection of linked tales of the old and new West. Autographed copies make great gifts, by the way. Contact me if you’d like one. Survive? Without a cell phone? Does your hero have hay fever?